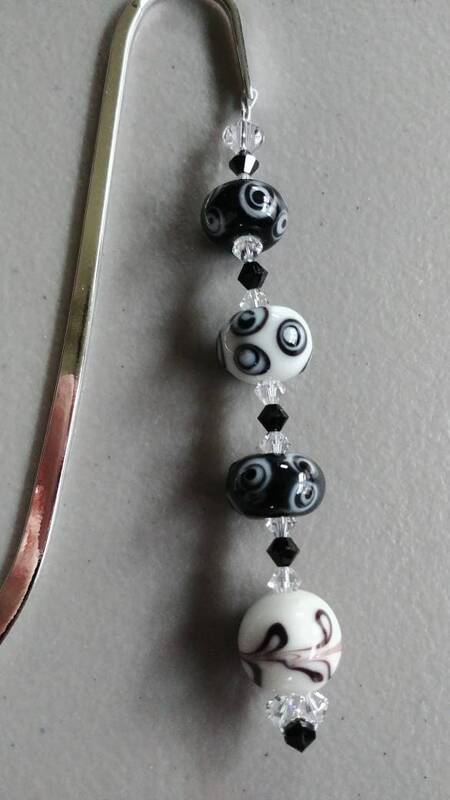 Get swirled away in a good book and let this magnificent lampwork glass bookmark be your place holder! 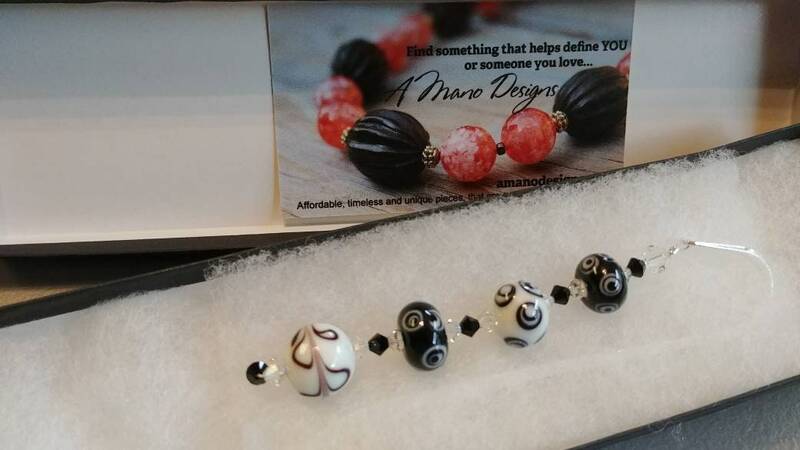 Black/white glass beads, each created by using traditional lampwork techniques... separated by black & clear glistening crystal bicones. Reward yourself with some tranquility and reading time. Great for your own use or to give as a gift. The beads in this one are truly a work of art! My personal favorite! 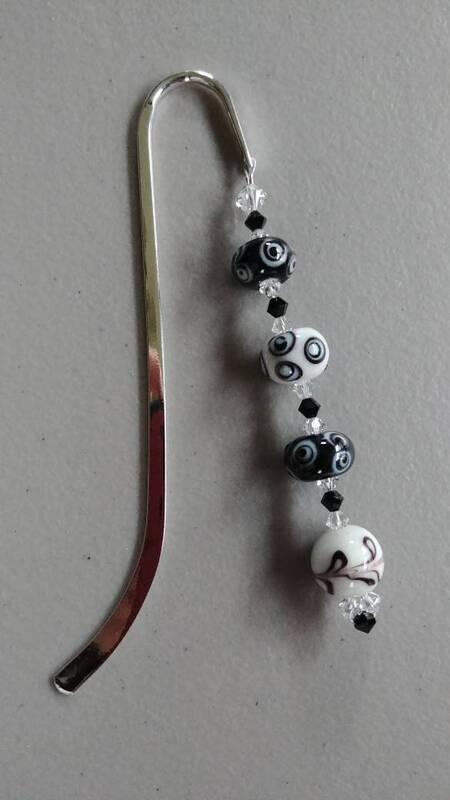 Actual bookmark is silver plated and measures 5 inches long. 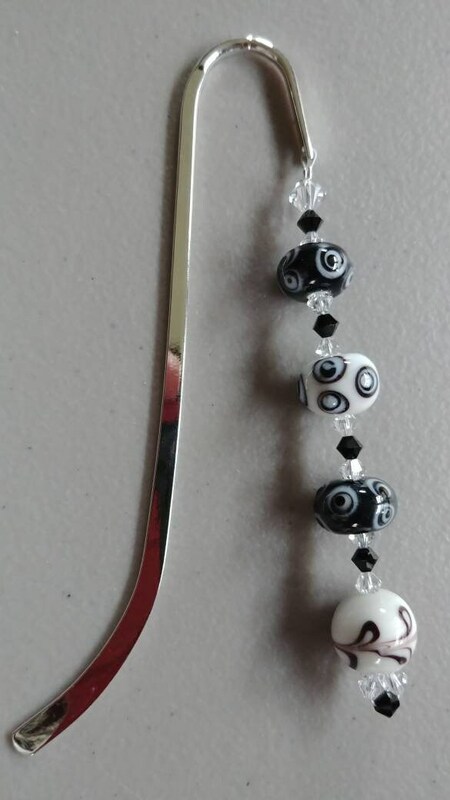 This bookmark is an original design, created and handmade by Michele of MichelesAManoDesigns.